Chapter 1 What are Virtual Humans? 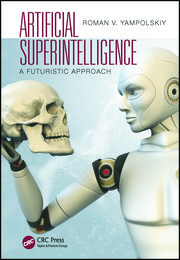 "This book presents an overview of the present state of play with virtual humans. Appearance, attributes, communication and intelligence are all investigated, and the architectures involved are covered in detail. 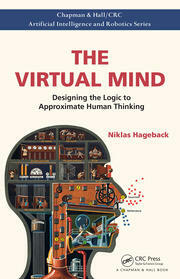 If you have little knowledge of what a virtual human is, but want to find out, then this is the book for you. 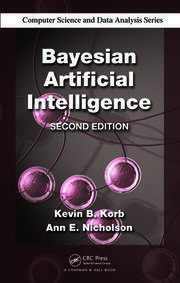 For researchers in the virtual human field this is a definite must." 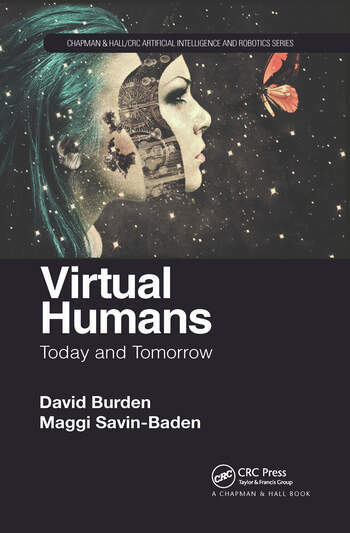 "David Burden and Maggi Savin-Baden’s Virtual Humans offers a thorough, research-based treatment of how digital entities with human-like features and capabilities have left the domain of science fiction and are rapidly becoming a major aspect of human culture. 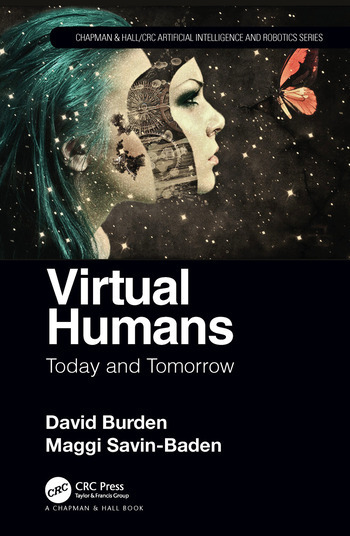 In their clearly-written and well-organized work, they describe the current forms and abilities of virtual humans (including smart speakers and virtual assistant systems like Siri, Alexa, and Cortana and various types of Internet-based chatbots); examine how the creation of virtual bodies, senses, and minds can be combined to create virtual humans; and consider potential developments in the nature and functionality of virtual agents across a range of timeframes from the end of the next decade to the end of the century. Significantly, the authors recognize and discuss the great ethical, moral and social implications of these technological developments which makes their work relevant and important for the social sciences and humanities as well as the domains of computing and information sciences. I certainly intend to use Virtual Humans as an assigned reading in the interdisciplinary courses I teach on the personal and social impact of leading-edge digital technologies." "Intelligent, pragmatic and insightful, Virtual Humans is an essential guide for those who want to understand the complex landscape of today’s technology when thinking about designing and building a virtual human. Helpfully, it clearly deploys a wealth of supporting analysis, case studies, research, ethical questions, and moral dilemmas and adds a refreshing dose of healthy common sense along the way."